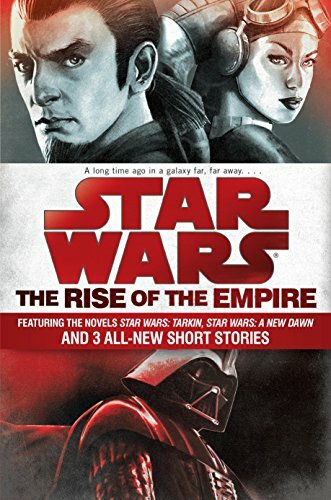 [PDF] The Rise of the Empire: Star Wars: Featuring the novels Star Wars: Tarkin, Star Wars: A New Dawn, and 3 all-new short stories | Free eBooks Download - EBOOKEE! Description: Under Governor Wilhuff Tarkinâ€™s guidance, an ultimate weapon of unparalleled destruction the so-called Death Starâ€”moves ever closer to becoming a terrifying reality. Until then, insurgency remains a genuine threat. Guerrilla attacks by an elusive band of freedom fighters must be countered with swift and brutal action a mission the Emperor entrusts to his most formidable agents: Darth Vader, the fearsome new Sith enforcer, and Tarkin, whose tactical cunning and cold-blooded efficiency will pave the way for the Empireâ€™s supremacy and its enemiesâ€™ extinction. No comments for "[PDF] The Rise of the Empire: Star Wars: Featuring the novels Star Wars: Tarkin, Star Wars: A New Dawn, and 3 all-new short stories".